As with any medical practice, we use a variety of tools and techniques at Richardson Podiatry Associates to provide care for our patients. One that is particularly valuable in several different contexts is the use of gait analysis. This practice helps us achieve a deeper insight into the problems you are experiencing, which then leads to effective treatments for them. When we look at gait analysis, it’s important to understand what we mean by “gait.” Basically, this is a person’s manner of walking. It takes into consideration the various biomechanical processes used by the body, particularly those in the feet, ankles, and lower legs. Gait varies by individual, with some people having patterns that are more likely to cause issues than others. One of the key factors in an individual’s gait is a process known as pronation. This is simply a matter of the foot rotating inwards during the course of a step. It begins with the heel strike and proceeds through the push at the front of the foot. A neutral pronation constitutes about a 15% foot roll. When the rolling motion is greater than that, we refer to it as overpronation. Less than 15% is considered to be supination. Variations from a normal pronation pattern can lead to issues that cause pain not only for your feet or ankles, but all the way up to your lower back. Why Have a Gait Analysis Performed? 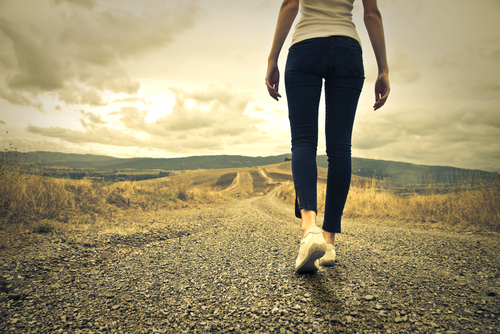 A main reason for having your gait analyzed is to identify issues and how they are affecting the way you walk. Without being aware of it, if you have foot or ankle problems you may compensate for them with a change in the way you walk. In turn, this can lead to an issue becoming worse or even create new problems and sources of pain or discomfort. As an example, if you are compensating for a high, rigid arch by supinating, you may ultimately develop a bunionette from the excessive force on the outside edge of your foot. Analyzing your gait can not only help us see how this compensation is taking place and other problems that might develop, but also determine the appropriate course of treatment. One of the goals in many instances of treatment is to redistribute forces more equitably for your feet. Analyzing your gait can allow us to see how to do this in the best possible manner. When we use custom orthotics to treat a condition or structural abnormality, the operative word is “custom.” Unlike over-the-counter inserts, our orthotic devices are prepared to work specifically with not only your foot structure, but also how you move. To effectively prepare an orthotic device that works for you, we will measure your feet and evaluate their structure. This is a good starting point, but we need to see the foot in motion to ensure that you end up with a device that actually works in accordance with your gait pattern. If you would like to find out more about any potential structural or biomechanical issues that may affect the way you walk, run, or even stand, we can help. At Richardson Podiatry Associates, we use this method to both identify sources of issues and create a solution for your foot problems. Contact us today and find out what we have to offer for you and your loved ones. Schedule your appointment with our Richardson, TX office online, or simply give us a call at (972) 690-5374.